Our specialist divorce solicitors are here to provide full guidance and professional advice on all aspects of divorce proceedings. Our specialist divorce solicitors can help you through this difficult time. As experienced separation solicitors, we understand the complications and implications divorce and its consequences can have on a family when a marriage has broken down. Our specialist family law knowledge, experience, advice and focus on client satisfaction makes us the leading choice for divorce advice and legal representation in the Macclesfield, Buxton, Holmes Chapel and Whaley Bridge areas. 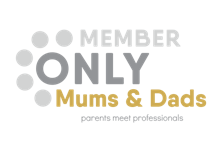 At Thorneycroft Solicitors, we understand that separation is an extremely difficult time for a family – from issues regarding your children and how to approach sharing assets, divorce settlements can be very distressing. Our dedicated and experienced team of specialist divorce solicitors understand how traumatic and complex family disputes can be. Our strong legal guidance, professional divorce advice and empathetic approach aims to minimise some of the emotional upheaval at what can be a very stressful time. Getting a divorce is a difficult decision and deciding on the right divorce solicitor to contact can be tricky too. 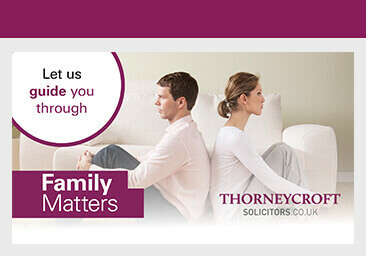 Thorneycroft Solicitors’ approach to dealing with divorce is on an amicable and conciliatory basis. Where the diplomatic approach proves unsuccessful, we will adopt a firm but fair and pragmatic approach in order to ensure that our clients’ interests are properly represented. As one of the North West’s leading divorce solicitors, we have the expertise and resource to provide an objective perspective and deal with even the most complex divorce situations. During or after the divorce proceedings, either party is entitled to apply for a financial order whether by way of a maintenance order, a lump sum payment or an adjustment of their interest in property, pensions and other assets owned solely or jointly. Thorneycroft specialist divorce solicitors offer expert help and advice on the legal and financial implications of a relationship breakdown. Each member of the team has the required skills to negotiate a financial settlement ensuring a positive outcome for you.